It is kind of hard to believe that the Head Start Program will be celebrating its 50th Anniversary this year. On one hand, it sort of seems as if this program has always been available to help low-income families get their children access to the early learning education and other essential Pre-K programs that they need in order to succeed in school. On the other hand, for many children who were unable to participate in the program due to Head Start budget cuts from the federal government, economic issues that have plagued our country in various regions and as the program was just beginning to grow, 50 years just doesn’t seem like enough. 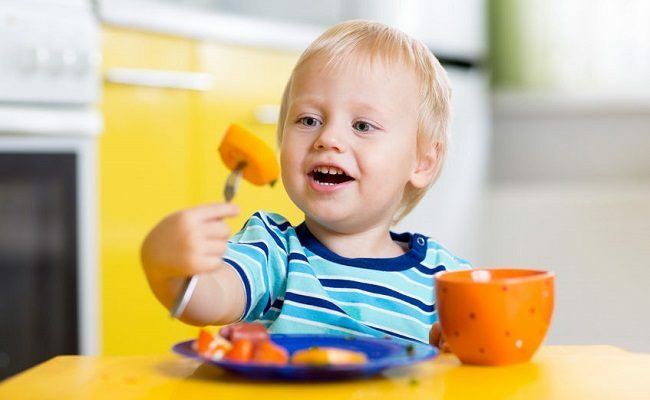 In addition to providing educational support to low-income families, the Head Start Program also provides children with proper nutrition and introduction to healthy foods when they are at their most impressionable and in need. Food service supplies can be expensive and, in recent years, have weighed heavy on sparse Head Start budget distributions, making it difficult for some programs to stay open or afloat. Bulk food suppliers, such as FoodSource Plus, make it easier for Head Start Program administrators to continue providing participants with fresh, healthy foods, but at a cost that won’t break the budget. Designed specifically to work with non-profit human service organizations like the Head Start Program, FoodSource Plus brings together administrators and companies that deliver food service supplies to schools, clinics, rest homes, community centers, shelters and more. Our team works on your behalf to negotiate the best possible pricing structure from our pre-vetted vendors, a list of bulk food suppliers and business supply companies, to realize a 10-35 percent annual savings on average. For Head Start Program administrators, that 10-35 percent savings can mean the difference between keeping the services available to the community or having to shut down when the next Head Start budget cut occurs. Our consultants will go through your current purchasing habits, food menus and supplies to find areas where spending could be reduced. We input your menus into the USDA database and we also have a registered dietitian on staff to review your menus, checking them according to CACFP, NSLP, SBP or any other guideline you are required to meet. Our services are completely FREE and there is no cost to join the FoodSource Plus program. Imagine having the buying power of a large corporation at your single, local location. This buying power and 10-35 percent average savings has helped many Head Start Program locations stay open. The Head Start Program currently has a budget of $8 billion nationwide and provides services to literally millions of infants, toddlers, young children, pregnant women and their families. This federal preschool program is designed to help low-income children and their families get the “head start” they need in order to succeed in school. Some of the skills that are learned here can carry throughout a child’s lifetime and gives these children access to medical, dental and nutritional care that they might not otherwise receive. One of the best parts about participating in the Head Start Program for families is feeling welcome and accepted. Many of these parents have fallen on hard times and it’s difficult to want to ask for help – even when it is desperately needed. The Head Start Program works to provide these services without judgement, without making parents and children feel any worse than they already do about their situation. Making sure that the Head Start budget continues to provide services, food service supplies, medical access and other benefits to these families is very important. If you are a Head Start Program administrator or employee and would like to learn more about the food service supplies and relationships with bulk food suppliers available through FoodSource Plus, give us a call. We are happy to explain our services to you and will set you up with a FREE consultation and audit of your current spending and shopping plan to show you where you can realize a 10-35 percent savings each year on your food, office and janitorial supply purchasing. Call us today at 866-248-4520 for more information or to join FoodSource Plus!